"Procrastinate no more. 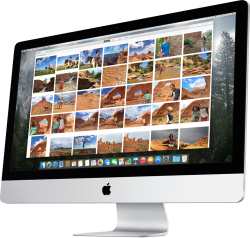 Apple's new Photos app for Mac computers, available Wednesday as a free software update, makes it easy to organize and edit your pictures. The app, which replaces iPhoto, bundles professional-level tools such as granular color correction into one free consumer package." OS X 10.10.3 will be available through Software Update in the Mac App Store.